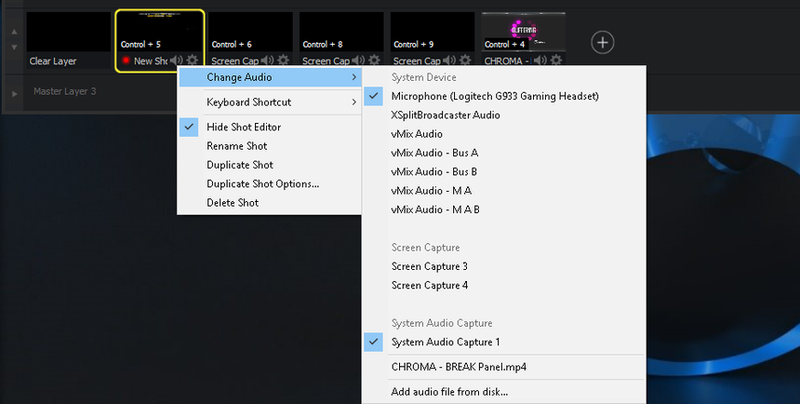 Do you see levels in the Audio Mixer, or at least next to the Preview or Live window? No levels.. 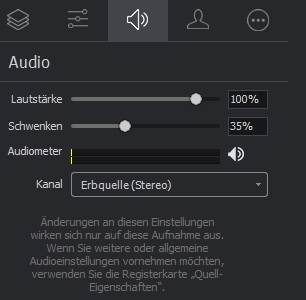 When i start xsplit the sound go to the stream, but only in Gameshow comes nothing.i will use Gameshow, better Performance as xsplit. did you add your sound source to your --> new shot ? just to check , when you richt click on the speaker icon on the bottom of your new shot , what is selected there? Whoever comes up with a solution, please lmk, cause I would rather have a lower quality than recreate scenes EVERY TIME i want to stream. Giovanna Lively Sorry but this issue is about sound so I'm not sure how recreating scenes is related. If you have a different issue please start a different thread.